The United States said Tuesday that it will allow for the first time the export of armed drones to some allied countries. Armed drones are a cornerstone of Washington’s military strategy against armed groups and militants in Afghanistan, Pakistan, Somalia, Syria, Iraq and Yemen. “The United States is the world’s technological leader in the development and deployment of military Unmanned Aerial Systems (UAS, or drones),” the State Department said in a statement. The statement did not say which countries would be customers, but several allies are eager to get their hands on the hardware, with The Washington Post citing Italy, Turkey and the Gulf. So far, the United States has sold its armed drones only to close ally Britain, the newspaper said. Drones are hugely controversial with many campainging against their use, pointing to the devastating impact these weapons have on civilians. Unmanned Aerial Vehicles: The History Goes Back Further Than You Would Think! Applied Technology Institute (ATI Courses) is scheduled to present the following courses on Unmanned Aerial Vehicles. I’ve always thought that UAV technology was the invention of the end of the 20th century looking something like the video below. I think our readers will find the information below quite interesting. 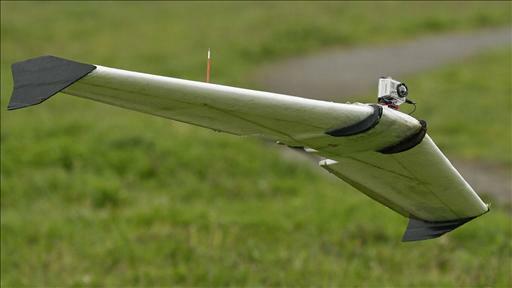 Austria was the first country to use unmanned aerial vehicles for combat purposes. In 1849, the Austrian military attached explosives to five large balloons and sent them to attack the city of Venice. Some of the balloons were blown off course, but others managed to hit targets within the city. The concept of pilotless aerial combat units resurfaced during World War I when military scientists began building devices such as the Hewitt-Sperry Automatic Airplane. This craft was essentially an airborne bomb and was controlled using gyroscopes. After witnessing the capabilities of the Automatic Airplane, the U.S. military began working on precursors to modern cruise missiles called aerial torpedoes. The first aerial torpedo was dubbed the Kettering Bomb. Developed in 1918, the Kettering Bomb could be guided by an onboard gyroscope toward targets located up to 75 miles from its launch point. A British World War I veteran namedReginald Denny opened a model plane shop in Hollywood in 1934. Denny eventually began producing radio-controlled aircraft that could be used for training purposes by anti-aircraft gunners. The Army hired Denny and produced thousands of drones for use during World War II. The Navy also began producing radio-controlled aircraft around this time. In 1942, a Navy assault drone successfully hit an enemy destroyer with a torpedo. After World War II, Reginald Denny’s company continued to build target drones for the U.S. military. The drones became increasingly advanced to keep up with manned combat aircraft. During the Cold War, some of these drones were converted for reconnaissance purposes. Based on the successful Ryan Firebee target drone model, the Ryan Model 147 Lightning Bug series of drones was used to spy on targets in China, Vietnam, and Korea in the 1960s and ’70s. The Soviet Union developed its own photo reconnaissance drones, although little is known about these devices. Drones were also used as decoys during combat operations. Unmanned aircraft vehicles were largely seen as impractical, unreliable, and expensive until 1982 when Israel successfully used the devices against the Syrian Air Force. The Israeli Air Force used the drones for video reconnaissance, distractions, and electronic jamming of Syrian equipment. They were also used to destroy Syrian aircraft without risking the lives of Israeli pilots. The success of Israel’s UAV project convinced the United States military to start developing more unmanned aircraft. The U.S. now has a large fleet of UAVs used to deceive detection systems such as radar and sonar. The General Atomics Predator RQ-1L UAV was used extensively during Operation Iraqi Freedom as well as operations in Afghanistan. The Predator was initially designed for reconnaissance purposes, but attaching Hellfire missiles and other weaponry made it an effective way to destroy enemy targets. Today, the military continues to improve UAVs with photovoltaic cells and other modern technology. Drones are also used domestically for surveillance, disaster relief, immigration control, and law enforcement. Applied Technology Institute (ATI Courses) is scheduled to present the following Unmanned Aircraft Courses below. The global demand for unmanned systems, in conjunction with the high rate of technological progress in this field, often leads to these weapon systems being fielded before they reach operational and logistic maturity. The rapid growth in the number of companies engaged in unmanned systems and the rapid technological progress made in the fields of miniaturization, electrooptics, communication, and computers, have led to a situation where state-of-the-art technology is installed in these systems. This, in turn, creates numerous challenges for everyone involved. The most significant implication of the uniqueness of unmanned systems is that they are technology-intensive systems that make it possible to set advanced operational challenges and objectives in diversified operating environments. This requires that the personnel operating these systems have a high level of proficiency and professionalism. In addition, this proficiency includes numerous capabilities and skills beyond the mere steering of the airborne platform and the operation of the payloads. In UAV systems (also called UAS – Unmanned Aerial Systems), which are controlled in real time, the operator normally occupies a remotely located ground control station where he must analyze the status of the system, the operational environment, and real-time occurrences through “remote control” sensing. He understands, for example, the weather conditions at a distance of tens to hundreds of kilometers, without being able to see the whole environment through the canopy, or identify a drop in engine thrust merely through the gauges, without physically sensing it. These seemingly simple tasks necessitate proficiency from a distance. As part of current UAS development efforts, two prominent factors directly affect system operation. The first factor, which mainly affects the steering and system operation, provides advanced capabilities to the aircraft, including a higher degree of autonomy and automation, improved reliability, extended operation and communication ranges, and upgraded propulsion systems. In addition to simplifying system control, reducing the number of operators at the ground control station, and improving the basic safety standards, these technological capabilities often have the opposite effect on the operating aspect. One example of a negative side effect is the deterioration in basic operator proficiency. This has the potential to damage the operator’s ability to cope with emergency situations, or in extreme cases, conceive the steering of the UAV as the operation of a flying model aircraft. This consequently affects the basic operator training standards (this conceptual error is typical made by countries taking their first steps into the field of unmanned systems). The second factor, which mainly affects the mission and interpretation aspect, is improving and adding mission capabilities through new payloads or through the improvement of existing ones. This trend significantly raises the level of complexity for the operator. Today, operators are required to control multiple payload types (Electro-Optical, IR, SAR, EW, SIGINT) in different environments (close and long range, urban and open terrain, day and night, extreme weather conditions, and so forth), and be able to effectively execute a range of mission types. Such missions include intelligence collection, close surveillance support for advancing ground forces, battle damage assessment, and many others. In the last decade, these factors were supplemented by the objective of reducing the number of operators at the ground control station. This process, whose primary objective is improved efficiency, does not necessarily improve mission performance, and often leads to an increased operating workload to the point of rendering mission execution impossible, or at times, failing to steer the UAV in a reasonably safe manner. For example, the majority of Mini-UAV systems boast the ability to have the mission executed by a single operator. Technically, this system operation is possible. However, a simple analysis of the operator’s functional characteristics will show that the mission environment and the number of simultaneous activities (system control, payload control, maintaining and tracking target contact, reporting, etc.) usually do not allow for the mission to be executed effectively and safely by a single operator. This insight is further emphasized when the background of the operating personnel is less than optimal. This is currently the case in several countries around the world where the relevant authorities are not sufficiently stringent about screening and selecting the appropriate personnel for the execution of these systems and missions. A review of the psychological aspect also suggests that UAV operators are unique. A US study published in 2009 examined the population of Predator (MQ-1) UAV operators in the US. The study established a correlation between the nature of their activity and extremely high levels of fatigue, sleep disorders, and stress. Other studies established a circumstantial correlation with high psychological pressures emanating from cognitive and emotional transitions in the operational daily routine of UAV operators and from the rapid leaps between the executions of critical operational missions over the battlefield to daily life with family. The gamut of environmental, mission, and technological variables has made the operation of UAV systems much more complex than ever before. UAV operators are required to be technically proficient in and professionally knowledgeable about numerous technological measures and different computer environments, all while having to meet their operational objectives in real time. Even for a seasoned, highly skilled operator, this constitutes a major challenge. The following variables illustrate the range of capabilities and characteristics UAV operators are required to possess: multitasking, working under pressure and making decisions in real time, good spatial perception, teamwork, assertiveness, perseverance, patience, service awareness, work ethics, maturity, creativity, a methodical approach, and an ability to learn quickly. Accordingly, these implications should be reviewed through the aspects of selecting the operators, training them, maintaining their competence, assembling teams, developing careers, adding mission tools, assimilation, and legislation. One prominent example of this is the investigation of the crash of the Predator B (MQ-9) UAV in Arizona on April 25, 2006. The National Transportation Safety Board, who investigated the accident, came up with numerous variables that may have caused the crash, most of which are linked to the human factor. One of the lessons drawn from this accident suggests that the phenomenon of gaps in this field far exceed the boundaries of this particular accident that are prevalent in all UAV systems. Many years ago, Israel identified the Human Factor aspect as a primary factor in system performance and safety standards. Accordingly, for many years afterwards, human factor professionals were involved in the field of UAVs in Israel. However, even in Israel, the investments made in the effort to develop the system around the operator are in no way similar to the investments made in manned systems. This gap is especially evident on the ground, often because of the absence of specific standards for this field. “The Human Behind the Unmanned System Will Make the Difference” is a slogan I invented many years ago. Since then, I have often been asked to explain it by using various aspects outlined in this article. In the last year, the US has begun to change their definitions of UAVs from “Unmanned Vehicles” to “Remotely Piloted Aircraft (RPA).” This trend, which amends the system manning issue, may lead to a change in the prevailing concept regarding the central role played by the human element, and could also lead to a change in Israel’s concepts and terminology. Nevertheless, it raises an historical debate of Pilot vs. Operators issue. Personally, I would recommend the term “Remotely Operated Aircraft” but this is an issue for another article. Applied Technology Institute (ATICourses) offers Unmanned Air Vehicle Design and Unmanned Aircraft System Fundamentals courses. The information below could be of interest to our readers. The idea of thousands of drones buzzing high above Main Street, USA may sound just a bit too odd for most people. But according to the FAA, the future is already here. The Federal Aviation Administration (FAA) predicts that swarms of unmanned aircraft systems could be taking to the skies of America in the next five years, with up to 10,000 active commercial unmanned aircraft systems (UAS) patrolling from above by 2020. Looking at aeronautical trends up to 2032, the FAA projects rapid growth of the UAS industry. “In the United States alone, over 50 companies, universities, and government organizations are developing and producing some 155 unmanned aircraft designs,” according to the agency. In February, the FAA said it had issued 1,428 permits to domestic drone operators since 2007, a number that far exceeds previous certifications. Meanwhile, some 327 permits are listed as active. This startling rate of growth of a potentially pervasive technology has rights groups expressing concern over privacy issues and the potential for abuse of power. Also, Even when controlled by skilled, well-intentioned operators, drones can pose a hazard—that’s what the FAA is concerned about. 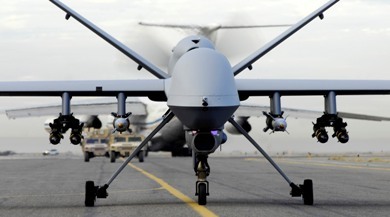 The safety record of military drones is not reassuring. 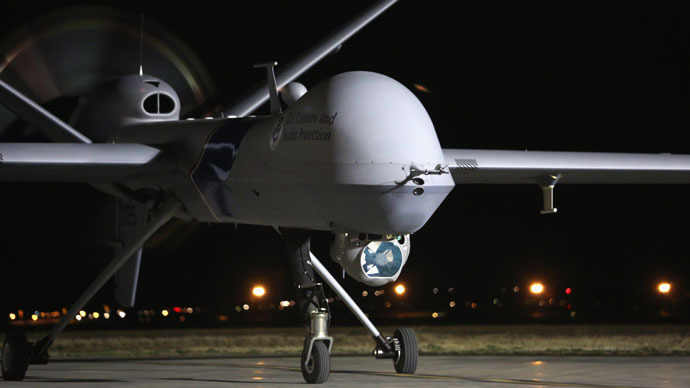 Since 2001, according to the Air Force, its three main UAVs—the Predator, Global Hawk, and Reaper—have been involved in at least 120 “mishaps,” 76 of which destroyed the drone. What is your opinion on the drones? Please comment below. Are you OK with growing use of unmanned drones in U.S.? It’s happening in the United States more and more. A technology once confined to foreign battlefields is becoming increasingly common in domestic airspace. As the Wall Street Journal reports, “With little public attention, dozens of universities and law-enforcement agencies have been given approval by federal aviation regulators to use unmanned aircraft known as drones, according to documents obtained via Freedom of Information Act requests by an advocacy group. The more than 50 institutions that received approvals to operate remotely piloted aircraft are more varied than many outsiders and privacy experts previously knew. They include not only agencies such as the Department of Homeland Security but also smaller ones such as the police departments in North Little Rock, Ark., and Ogden, Utah, as well the University of North Dakota and Nicholls State University in Louisiana. – Does it worry you … or reassure you? – Should drones be limited or welcomed like other new technology? – Does your right to privacy extend to the airspace above your home or business? – Would you accept any drone as long as it is unarmed? If you have a comment on this topic, post it below now! Warfare of the future: does it belong to the drones? There is no doubt that the use of unmanned aircrafts or drones has seen a tremendous growth over the last few years. Since 2005 there has been a 1,200% increase in combat air patrols by UAVs. Al-Qaeda leader Anwar al-Awlaki was killed by a drone only last month. But does this mean that the future belongs to UAS? What are the pros and cons of using unmanned aircraft vehicles vs manned? What are the pros and cons of UAVs? Overall, but the pilot in the cockpit is already an endangered species. Keylogger Virus Vs US Drones? Place your bets? Yes, it has come to this! Apparently, a “keylogger” virus (that the nasty kind that records EVERY keystroke) has hit Creech Air Force Base in Nevada. Chreech is the main base of operations for US Drones. The virus kept coming back resisting every attempt to remove it from the drives. Eventually, the drives had to be wiped clean and rebuilt from scratch. That is a lot of man hours! The virus, first detected nearly two weeks ago by the military’s Host-Based Security System, has not prevented pilots at Creech Air Force Base in Nevada from flying their missions overseas. Nor have there been any confirmed incidents of classified information being lost or sent to an outside source. But the virus has resisted multiple efforts to remove it from Creech’s computers, network security specialists say. And the infection underscores the ongoing security risks in what has become the U.S. military’s most important weapons system. According to Nano Drones Reviews, Drones have become America’s tool of choice in both its conventional and shadow wars, allowing U.S. forces to attack targets and spy on its foes without risking American lives. Since President Obama assumed office, a fleet of approximately 30 CIA-directed drones have hit targets in Pakistan more than 230 times; all told, these drones have killed more than 2,000 suspected militants and civilians, according to the Washington Post. More than 150 additional Predator and Reaper drones, under U.S. Air Force control, watch over the fighting in Afghanistan and Iraq. American military drones struck 92 times in Libya between mid-April and late August. And late last month, an American drone killed top terrorist Anwar al-Awlaki — part of an escalating unmanned air assault in the Horn of Africa and southern Arabian peninsula. But despite their widespread use, the drone systems are known to have security flaws. And this recent virus definitely proves it! What do you think? You can read more about the virus here. The Navy is currently developing the X-47B unmanned aerial system (UAS), designed to operate from an aircraft carrier and refuel in midair. The drone includes stealth technology and a shape similar to the B-2 stealth bomber. The Navy hopes to have a carrier based squadron by 2018. See the article in the WSJ. About a year ago NASA created their own YouTube channel in order to provide the wider public with entertaining and informative way to learn about science, Earth, our Solar system and more. The videos are a collaboration of NASA’s astrophysicists, agency narrators and videographers. The videos are posted every Thursday around 4PM EDT. Future episodes will focus on citizen science research; the search for new galaxies; how to watch this summer’s Perseid meteor shower; and the causes of recent wild weather events in the United States. The below episodes are the most recent. Just when you thought it was safe to orbit Earth: Researchers say solar storms can turn satellites into zombies! Aquarius is the first NASA sensor to track ocean salinity from space, and aims to help uncover how the salinity of Earth’s oceans are effecting our climate. NASA’s Voyager probes have reached the edge of the solar system and found something surprising there–a froth of magnetic bubbles separating us from the rest of the galaxy. Applied Technology Institute’s space, satellite, and aerospace engineering technical training classes deliver the highest quality professional development and continuing education training in the field of space, satellite, and aerospace engineering. Our industry leading instructors provide course attendees with both practical and technical knowledge necessary to excel in the field of satellite, aerospace, and space engineering. To view video of our courses please visit ATI YouTube channel. Do You Have a Need to Know about Unmanned Aircraft Systems (UAS)? Will YOU need to learn more about this exciting field? Applied Technology Institute (ATI) is pleased to announce their one-day short course on Unmanned Aircraft Systems (UAS). Since 1984, the Applied Technology Institute (ATI) has provided leading-edge public courses and onsite technical training to DoD and NASA personnel, as well as contractors. With the practical knowledge you will gain from this course, you can recognize the different classes and types of UAVs, how to optimize their specific applications, how to evaluate and compare UAS capabilities, interact meaningfully with colleagues and master the UAS terminology. Are UAVs coming to airspace near you? • Don’t have time for a full semester course? • Is the nearest campus all the way across town? • Can’t move to North Dakota for an undergrad degree in UAS? If one or more of situations apply to you or you are just in need of more UAS-related knowledge, then boost your career with the information needed to provide better, faster, and cheaper solutions for your customers. Why not take our UAS short course instead? This one-day course is designed to help you keep your professional knowledge up-to-date on the use, regulation and development of these complex systems. If you sign up for this class, whether you are a busy engineer, a technical expert or a project manager, you will enhance your understanding of these complex systems in a short time. Here is the instructor, Mr. Mark N. Lewellen, with an introduction to his class on YouTube. Then please see our UAS Course Slide Sampler with actual course materials. After attending the course you will receive a full set of detailed notes from the class for future reference, as well as a certificate of completion. Please visit our website for more valuable information.